Portuguese singer Maria João has become an icon in the improvisational music world. Her outstanding voice and intensity of simultaneous interpretation have gained international recognition, deservingly calling her one of the best performers in the world. Maria is constantly evolving and surprising not only in jazz and improvisation but also by adding the influences of avant-garde and folk music to her performance. Every culture can be understood by listening to its music and Maria says that it is important that the musician learns it constantly. The music reflects our place of living, experience, native language and all that we are. Maria's most important partner in music is Portuguese pianist Mário Laginha, but during her career, she has also collaborated with such world-class artists as Aki Takase, Bobby McFerrin, David Linx, Dino Saluzzi, Gilberto Gil and others. 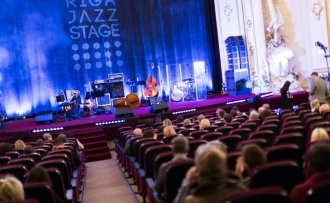 At the concert in Riga, Maria will perform with her latest project, electric trio “Ogre” – a hybrid of jazz and electronic music. The extraordinary sound will bring listeners into the world of digital and analog sound synthesis. 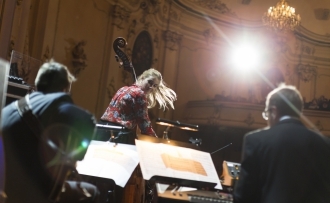 When asked what to expect from this concert, Maria admits that she always is very demanding to herself, and therefore hopes that the concert will be inspiring, powerful, and people will feel the mood she is bringing to the audience. 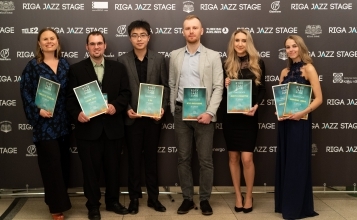 From 4 to 6 April, Jazz Artists Contest „Riga Jazz Stage 2019” will take place at the cinema „Splendid Palace”. 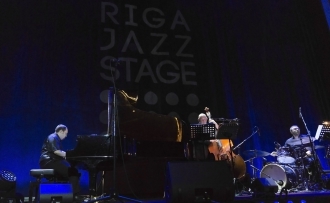 This year's Artist in Residence is Portuguese jazz singer Maria João, who will be performing at the Gala concert of „Riga Jazz Stage” on Saturday, April 6, at 19.00. Tickets available at “Ticket Serviss” ticket offices and online.